As I write this on a Thursday afternoon, there are over 10,000 commercial aircraft in the air, worldwide (according to FlightRadar24). The site itself is an engaging real-time visualisation, ideal for showing the live flights in the sky above you as you introduce the science of flight to students. There are an expected 31.7 million cars on the road in the UK. 2,552 railway stations facilitated 1.65 billion journeys in 2014/15. The scale of our transportation networks is staggering, yet it carries on, mostly unnoticed and under-appreciated — assuming you’re not reading this while stuck in a traffic jam or on a delayed train, that is! 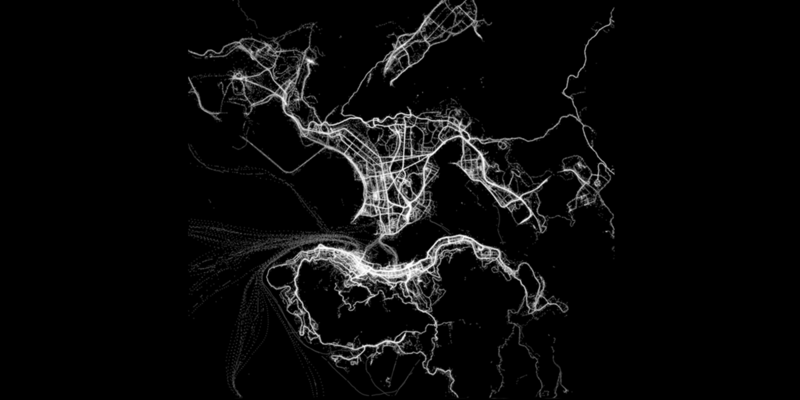 In this post, I’ll share some visualisations on transportation data. More will come, I’m sure, as cities open up data portals and make journey details public. First, a real-time map of one of the countries busiest transport networks. If you’re a Bond fan, check out the Skyfall version. 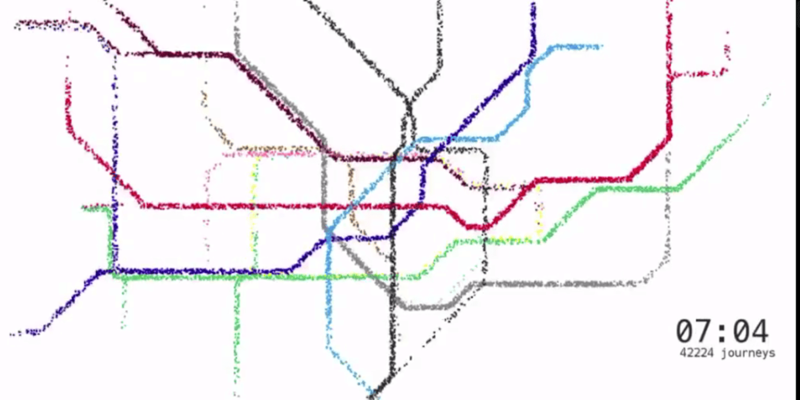 While we’re talking about the London Underground, here’s a video that shows the activity across the network on one day. 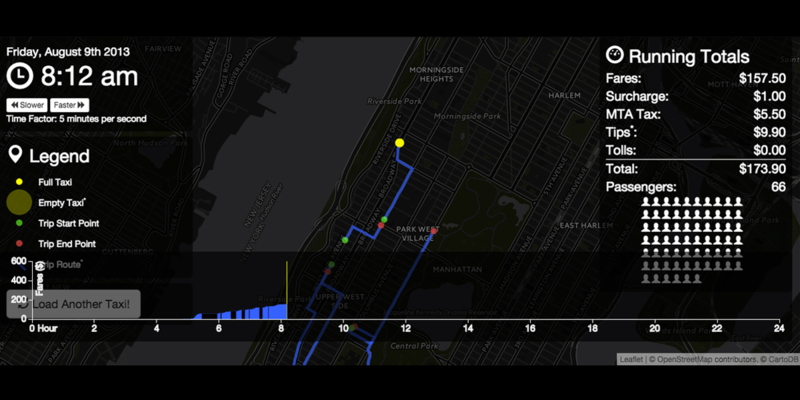 This visualisation shows the activity of one NYC taxi in one day. It shows the start/end points of each trip, fares, tips and tolls. 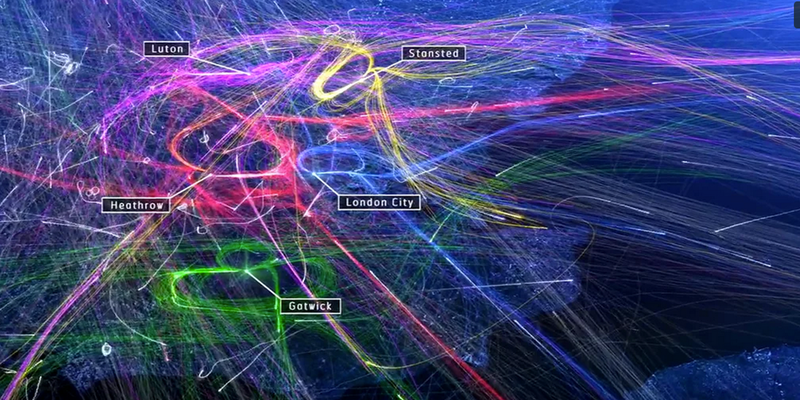 Back to London again, here we can see the crowded skies across the capital’s five airports over the course of one day. This video shows activity tracked by users of the human app in different cities. The app tracks walking, cycling, running, and other activities. You can use the website to look at your city’s data to see how active people in your area are, and what activities they do. This video shows movement on the New York City subway during a 24-hour period.